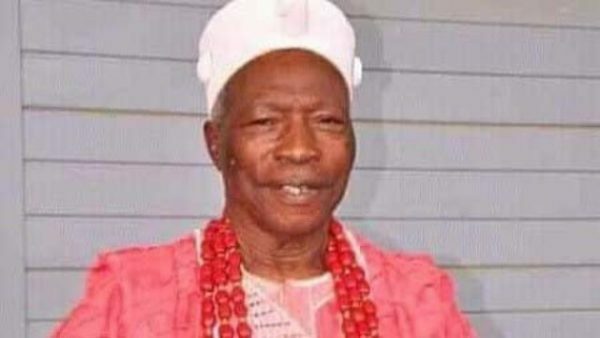 A traditional ruler of Iworoko, Oba Michael Oluwafemi Aladejana has died mysteriously after 15 persons died in his town. The Oba of Iworoko, Oba Michael Oluwafemi Aladejana, has mysteriously died just four days after a trailer crushed 15 persons to death in Iworoko Ekiti, Irepodun/Ifelodun local government area of Ekiti State. According to a report by TheGuardian, the monarch died of shock. Aladejana, an octogenarian died in the early hours of yesterday at an undisclosed hospital in Ado Ekiti capital city where he was rushed to for treatment. A trailer carrying a branded rice of the senator representing Ondo Central, Tayo Alasoadura, had on Saturday rammed into a night market leaving 15 persons dead, including a yet-to-be identified youth corps member, and four others fatally injured. A prominent indigene of the town, who did not want his name in print, said the accident led to the sudden collapse of the health of the second-class traditional ruler, adding that efforts to revived him proved abortive. “Our monarch was rushed to the hospital after the accident. Though he had been having health issues before but that incident really made the situation worse for him. “When the news got to town, he was said to have felt so devastated and the family had to rush him to the hospital early on Sunday. The sickness was said to have improved on Monday before it relapsed on Tuesday causing his untimely death yesterday,” the source said.